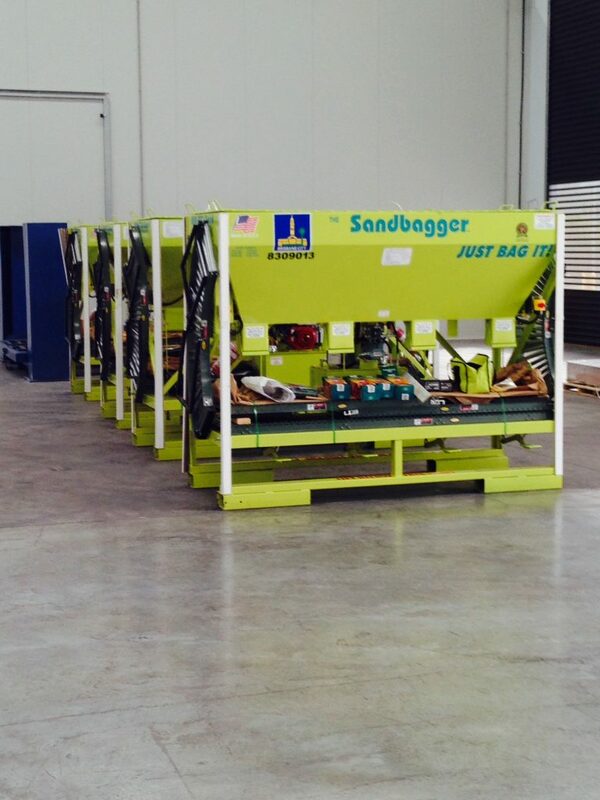 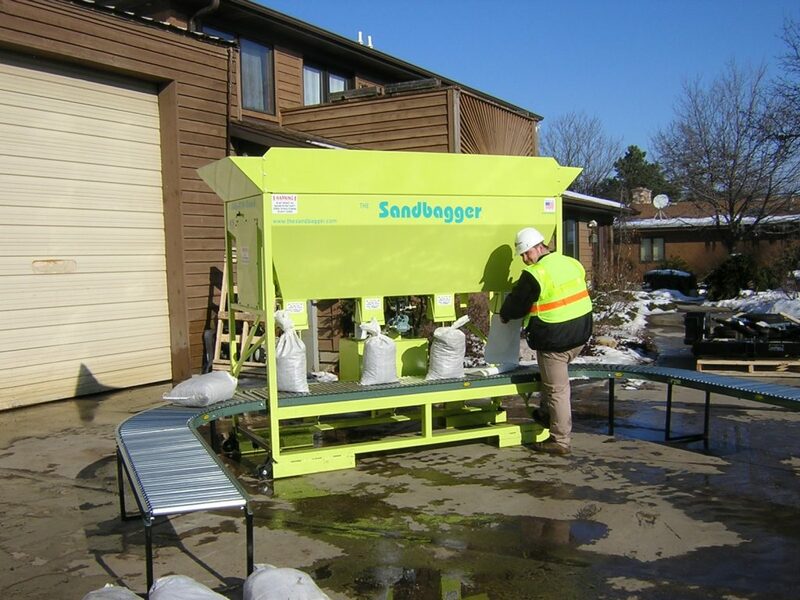 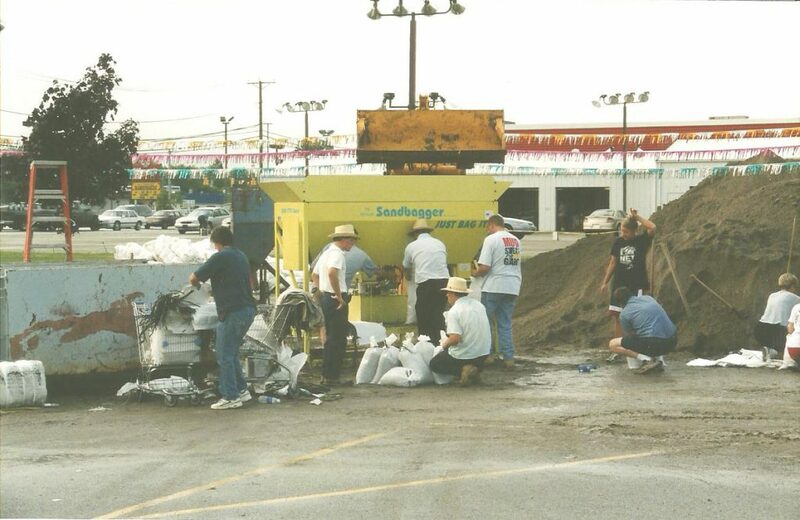 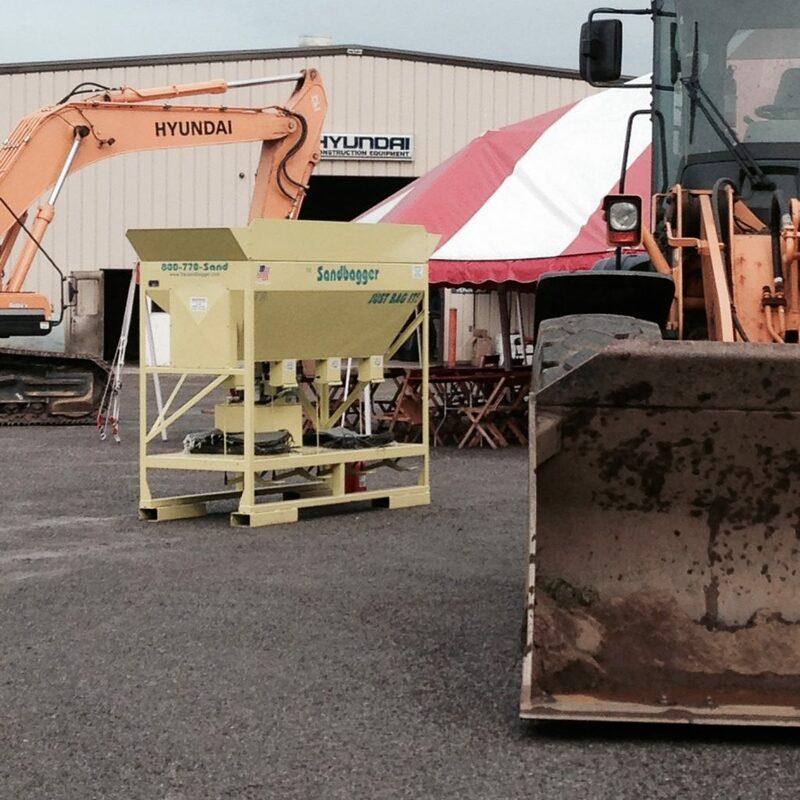 The Sandbagger Model II with Motorized Auger is an automated sandbag-filling system used to fill four (4) sandbags simultaneously. 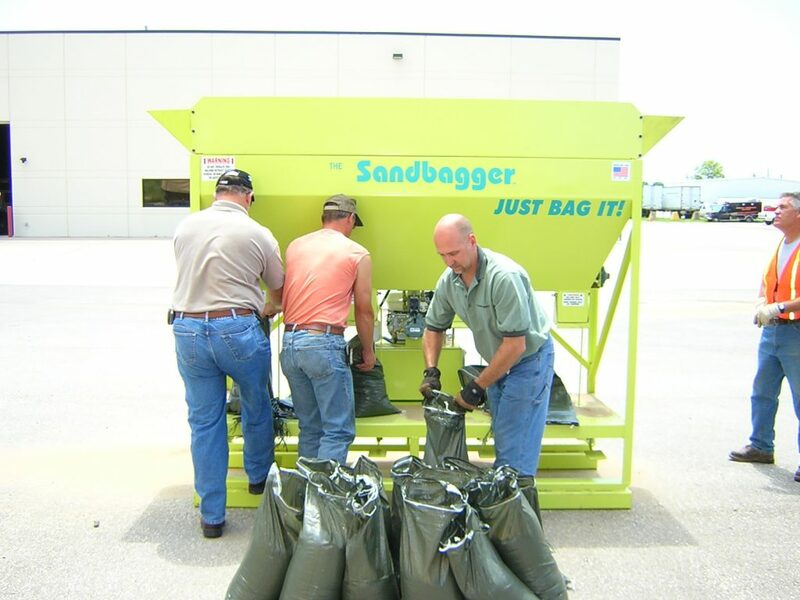 It requires four (4) people to fill sandbags and one (1) person to operate the front-end loader to keep the 2 cubic yard hopper full. 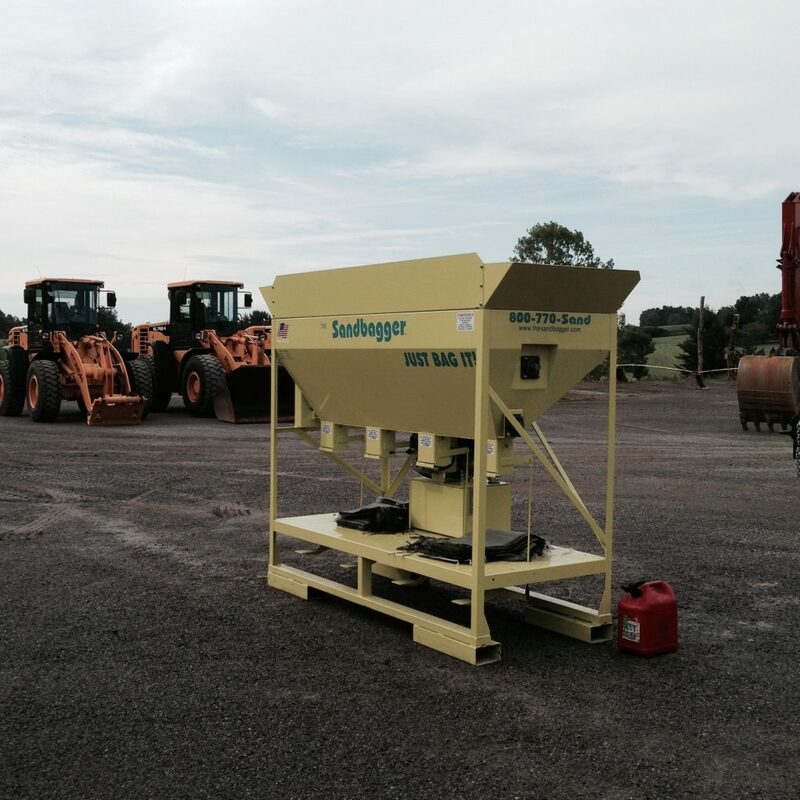 This unit is capable of filling at least 1600 bags per hour using unskilled labor. 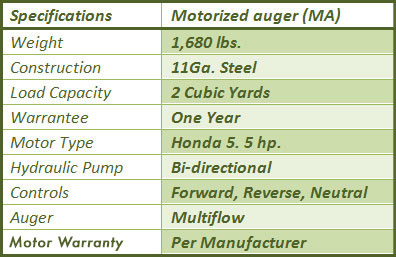 It is also lightweight and truck-portable. 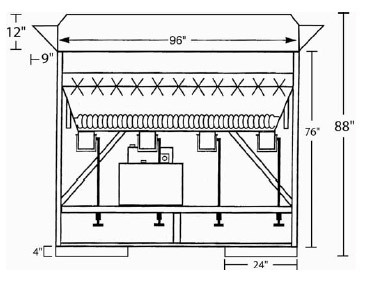 Optional towing package available. 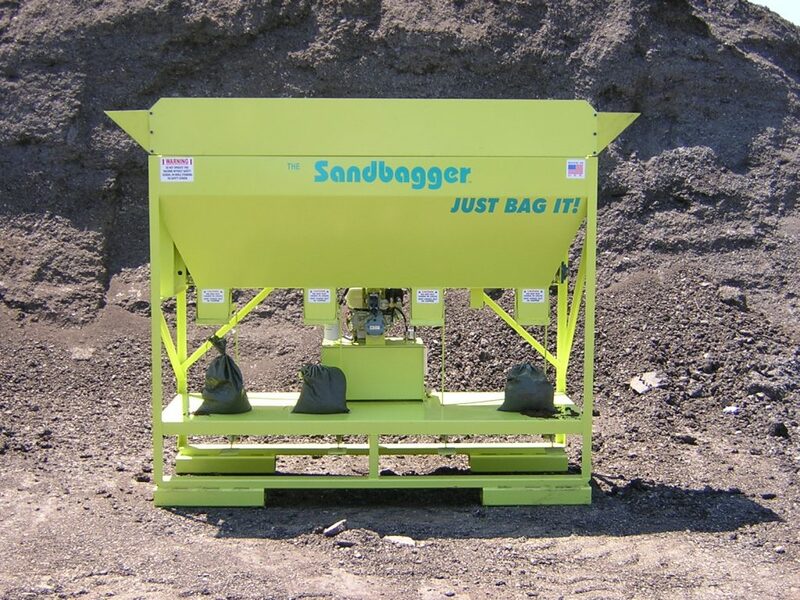 This Sandbagger is equipped with a hydraulic driven bi-directional auger and agitator to keep wet materials flowing. 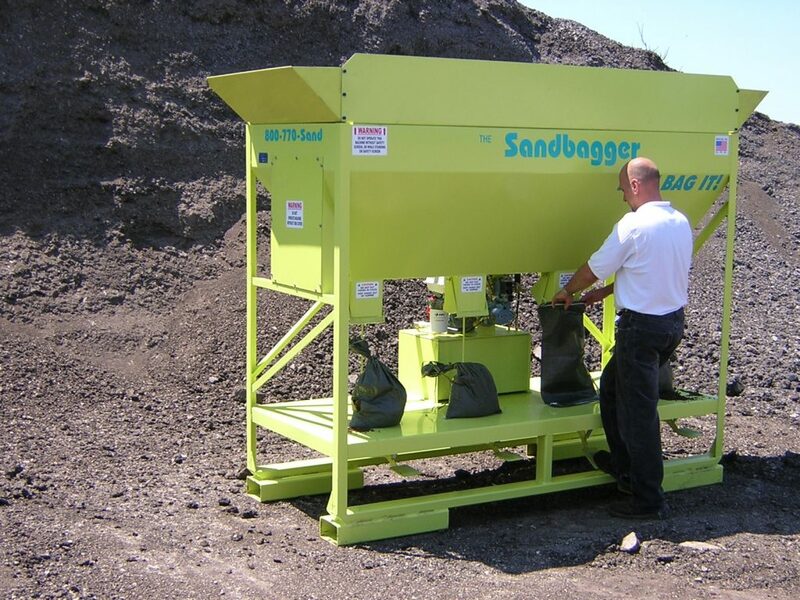 This machine comes with a sandbag filling machine to include four stations, a safety grid, a safety shield, auger and agitator, gas engine and hydraulic motor. 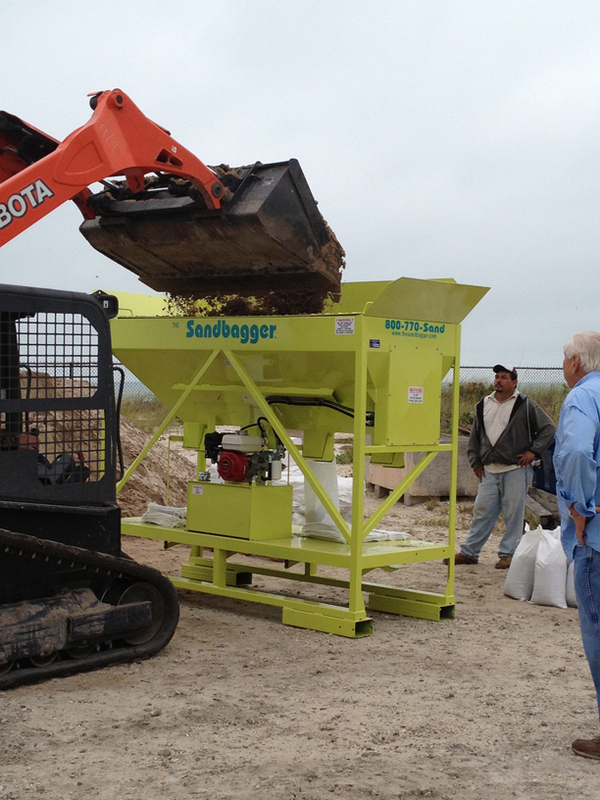 The Sandbagger Model II can bag 1600 bags per hour effectively and inexpensively.